Half side design, with bottom hole for easy hanging. 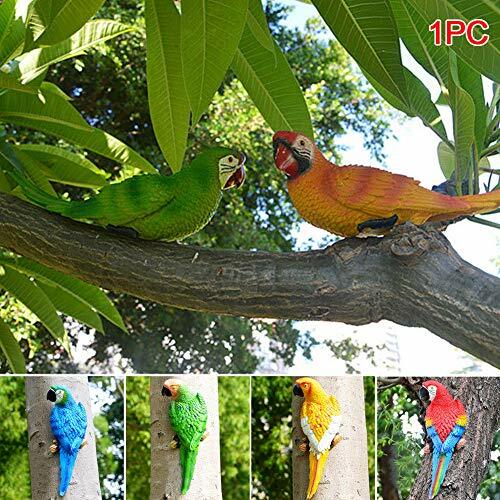 Exquisite workmanship, lifelike parrot, ideal decor for home or garden. Premium resin material, wear resistant, scratch-proof, environmental. Also perfect craft gift, desktop ornament, patio decoration, photo prop, etc. If you have any questions about this product by MORE11, contact us by completing and submitting the form below. If you are looking for a specif part number, please include it with your message.